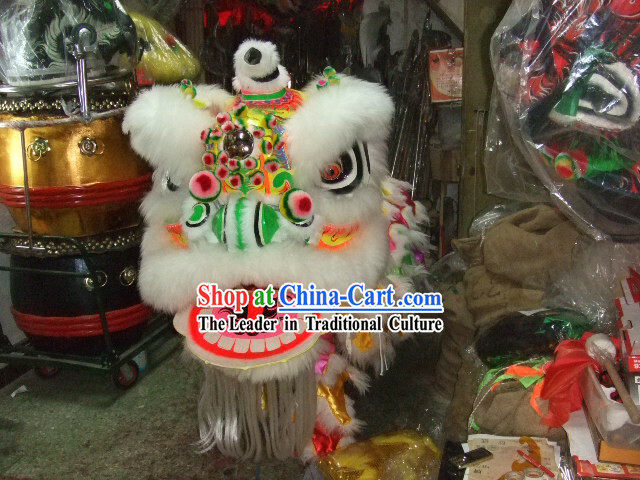 Except black color, all luminous colors lions are in stock. 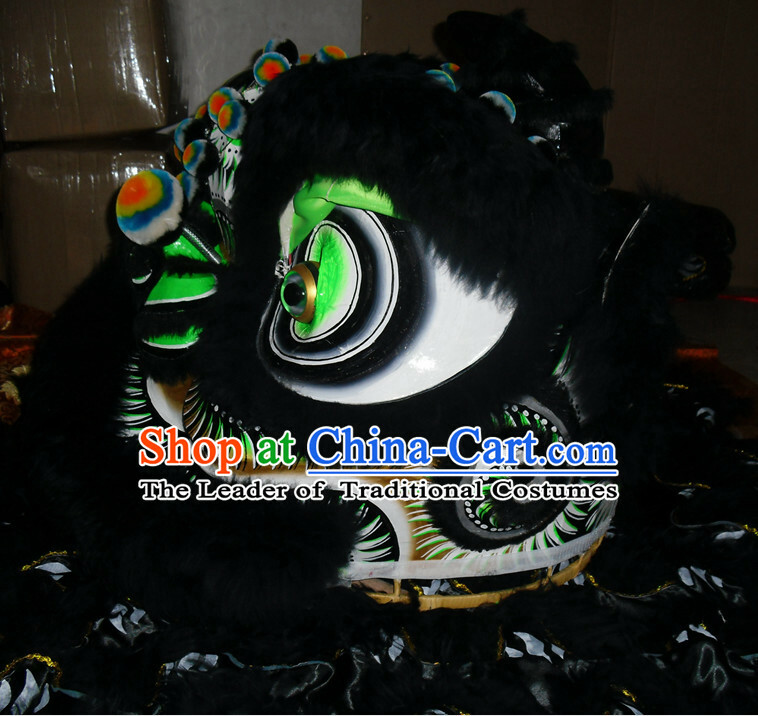 Feel free to leave us a message of the fur color and base color that you like on the order form. 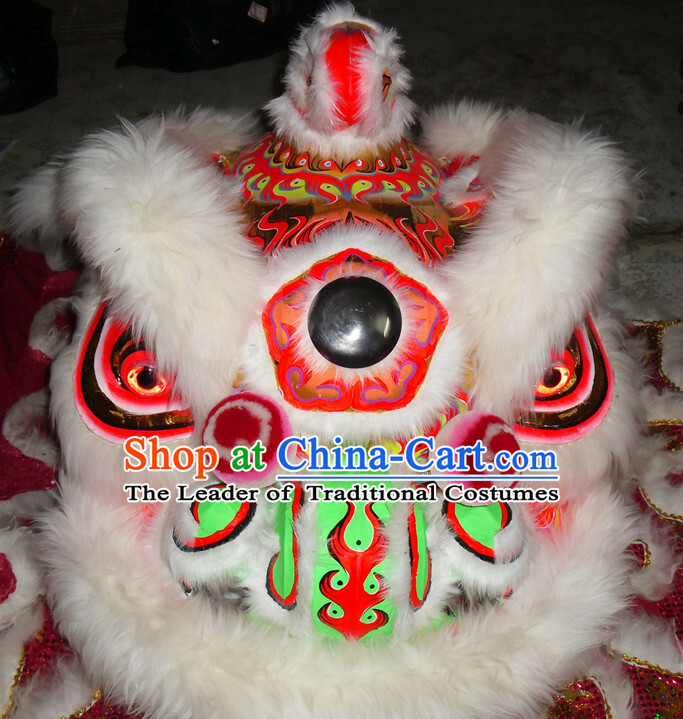 This For example, the color of the luminous lion in the above picture is of white fur color and pink base color. 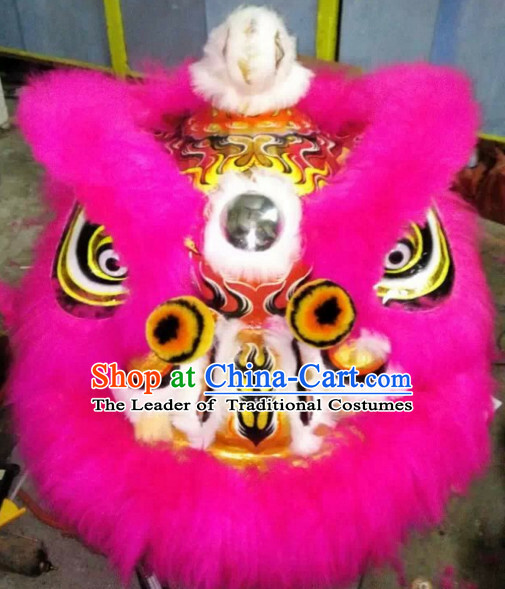 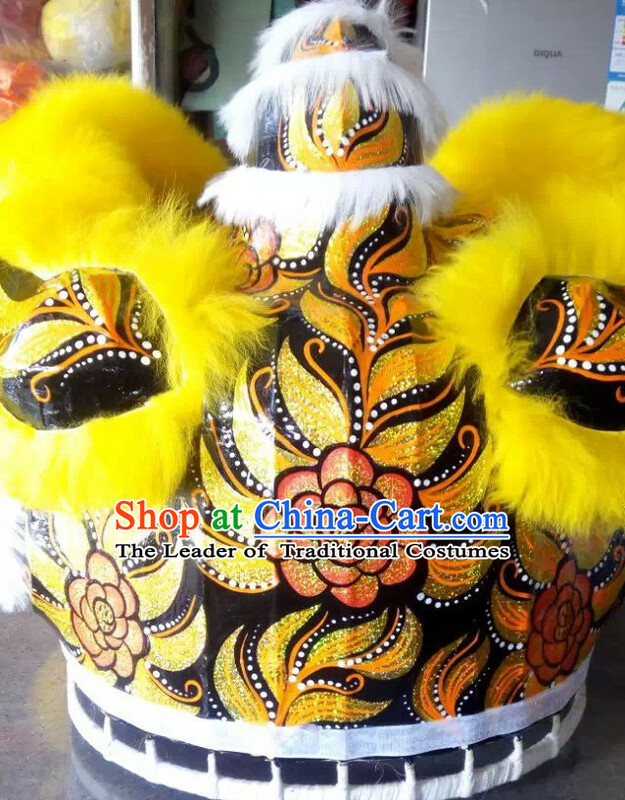 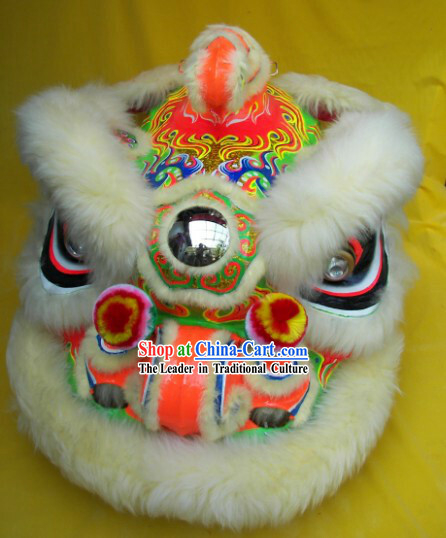 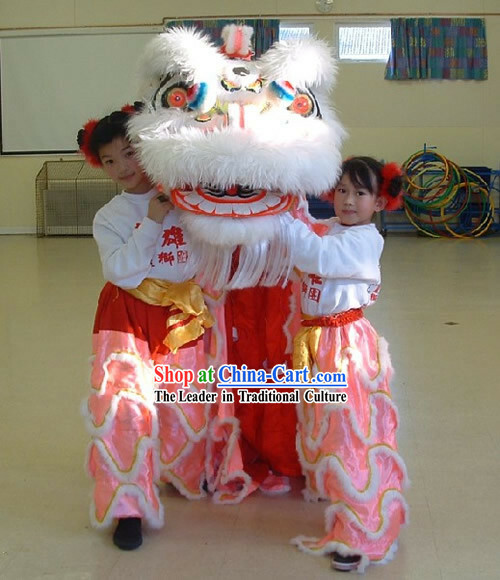 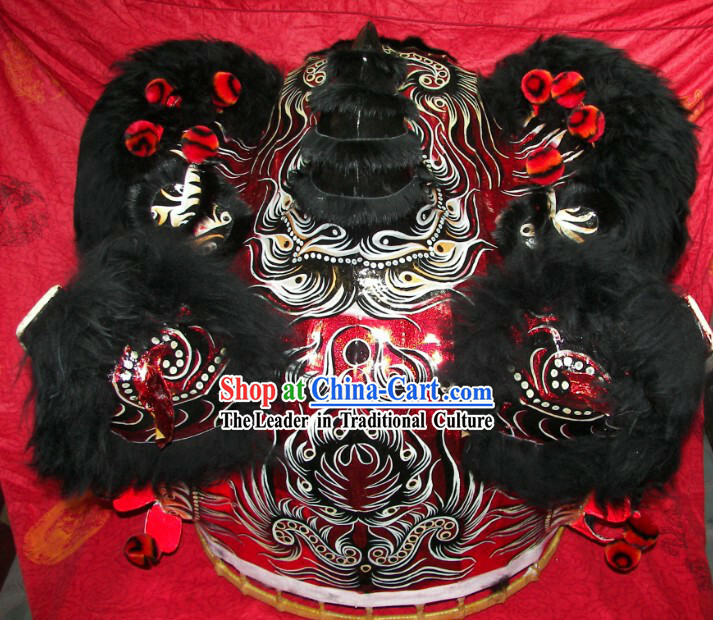 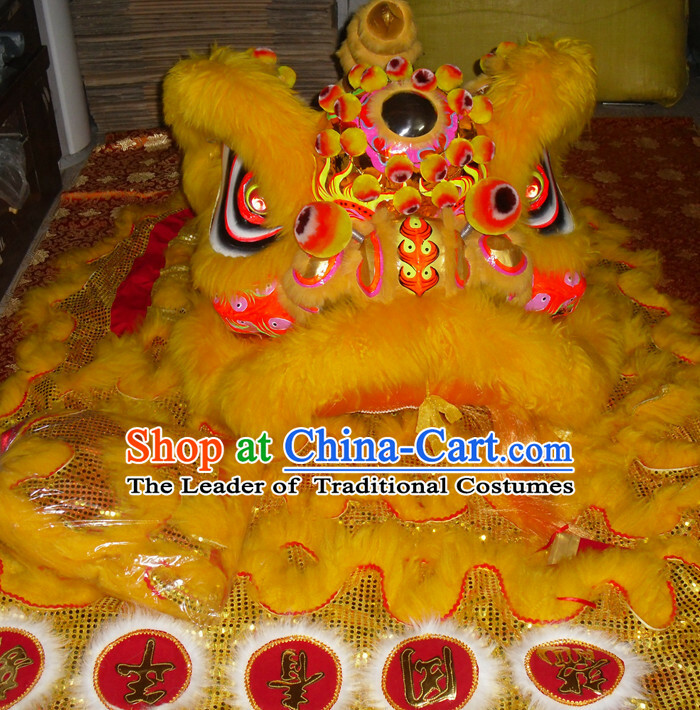 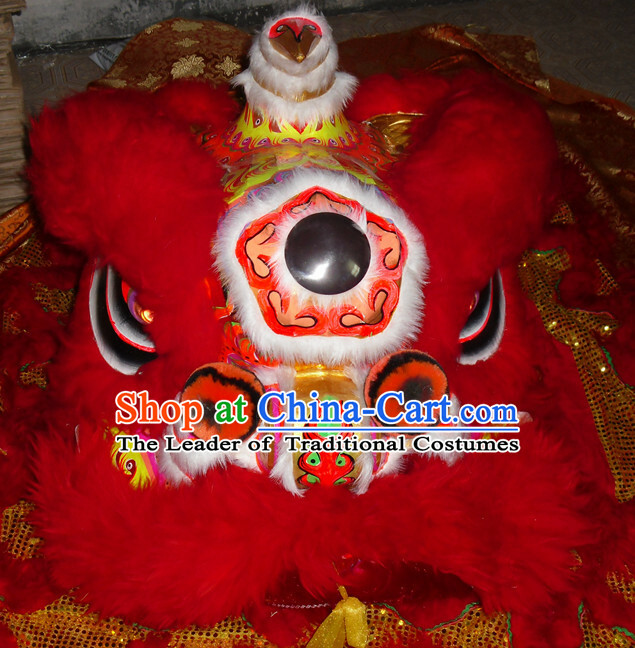 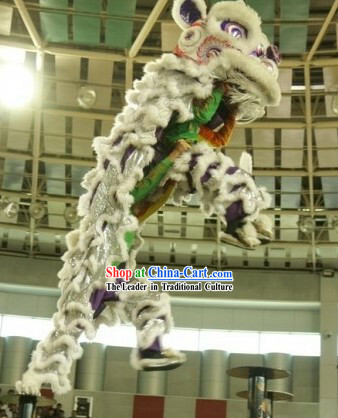 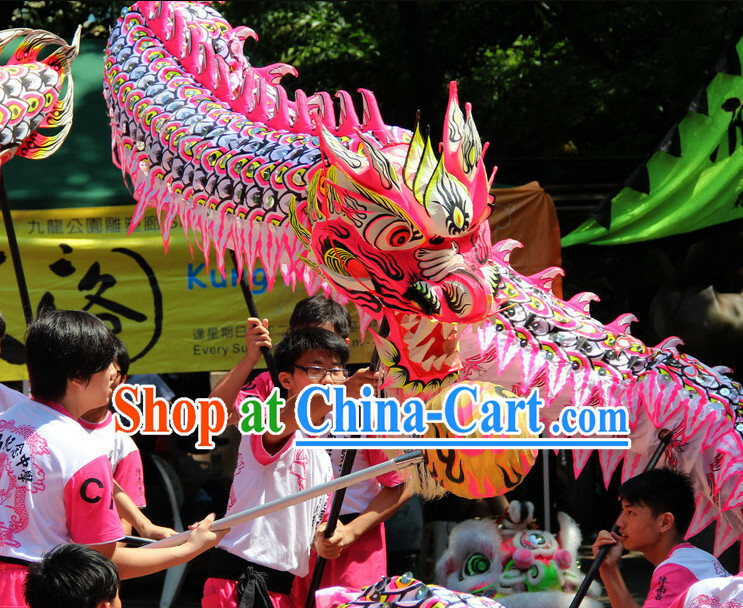 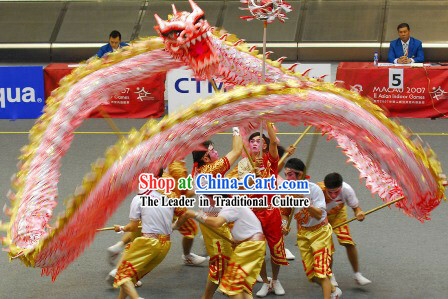 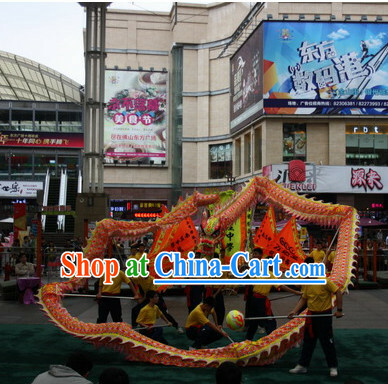 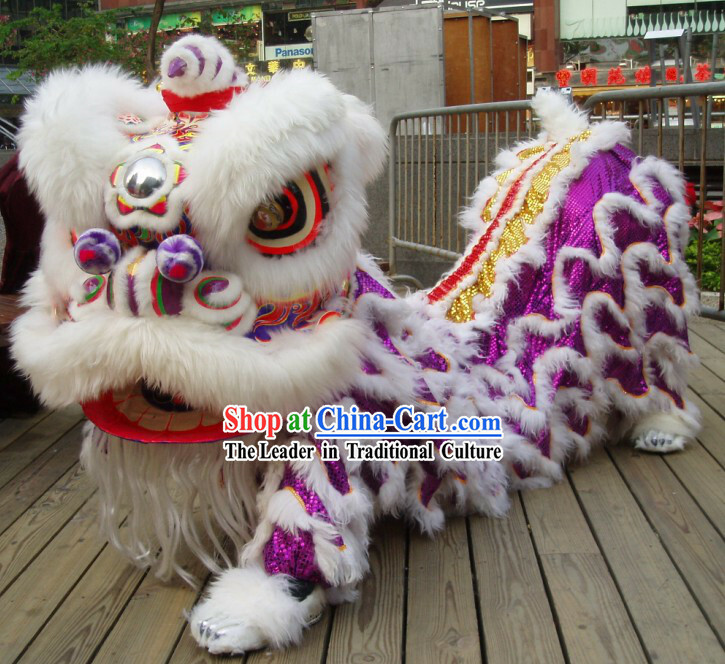 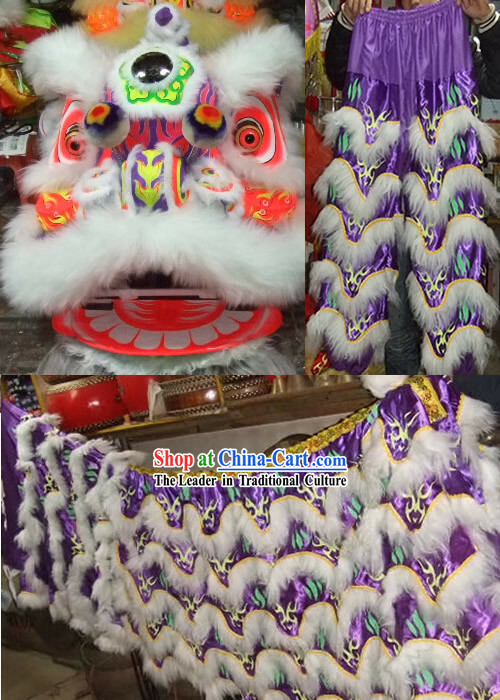 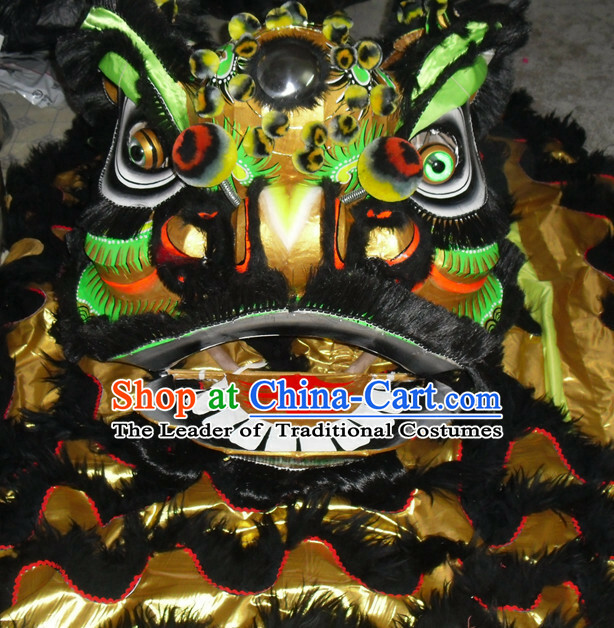 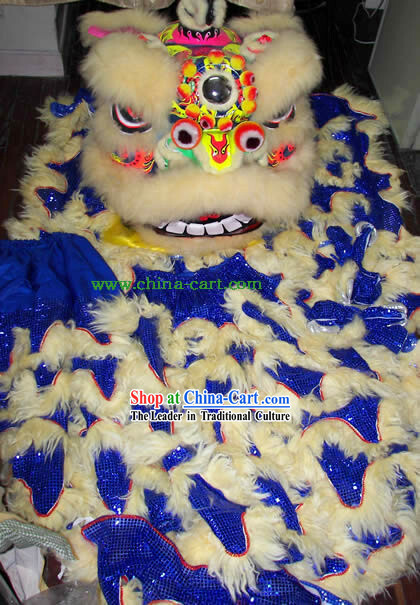 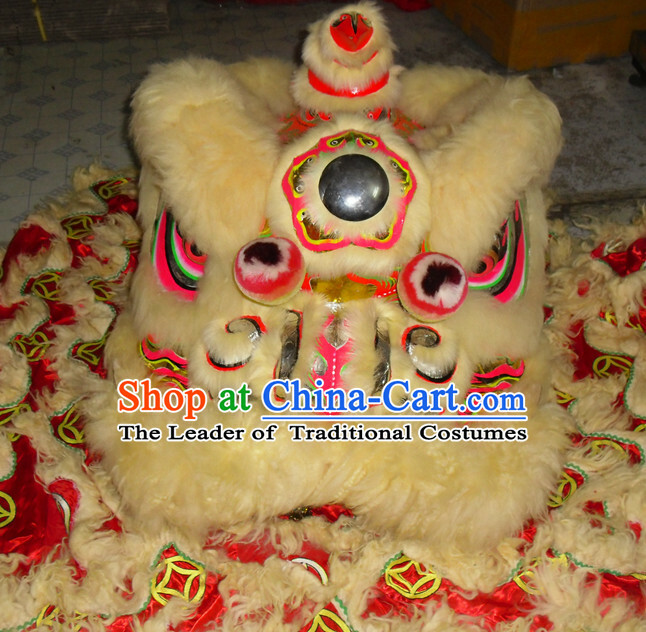 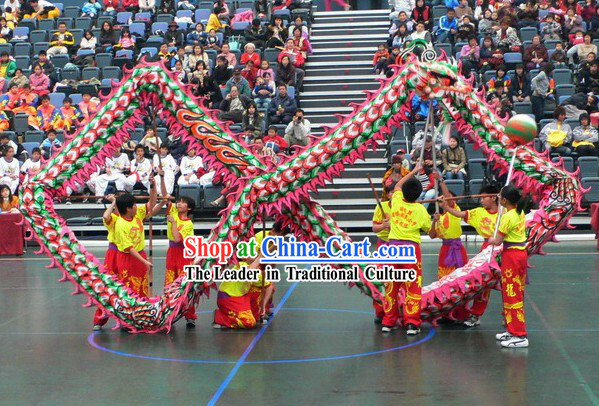 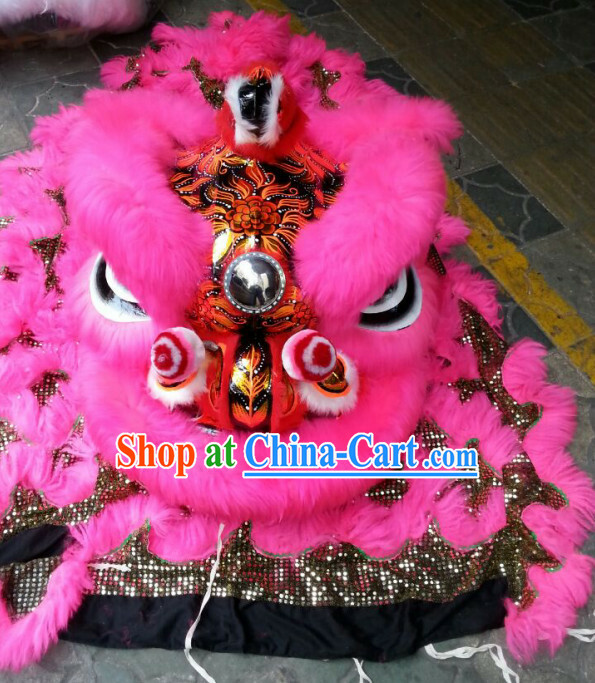 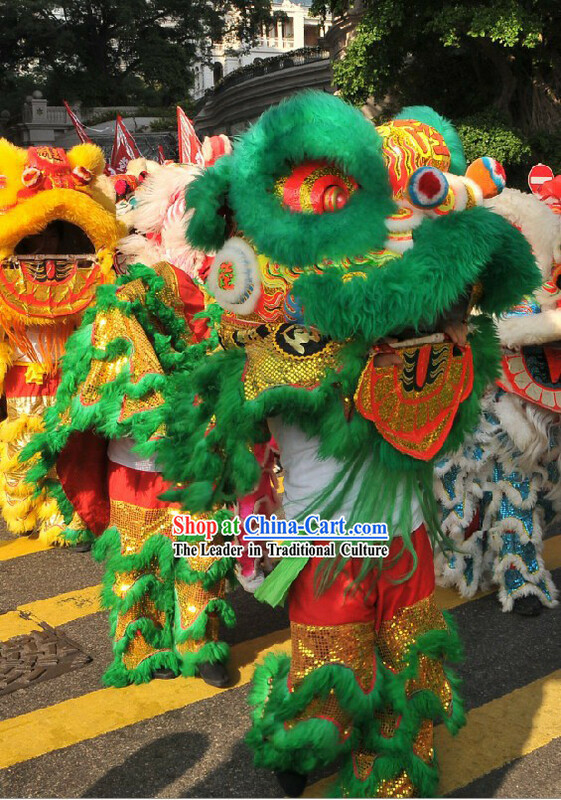 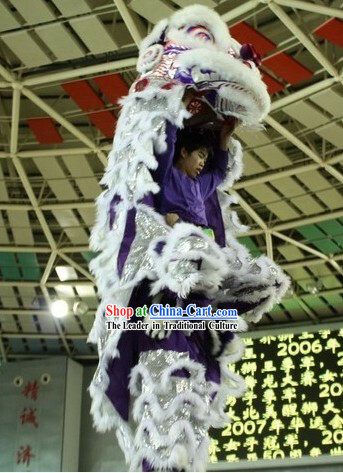 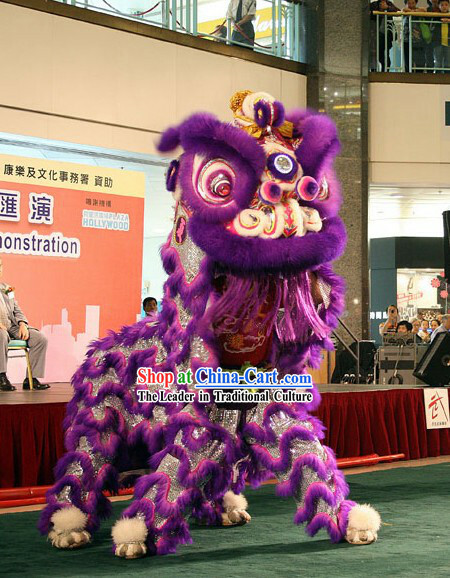 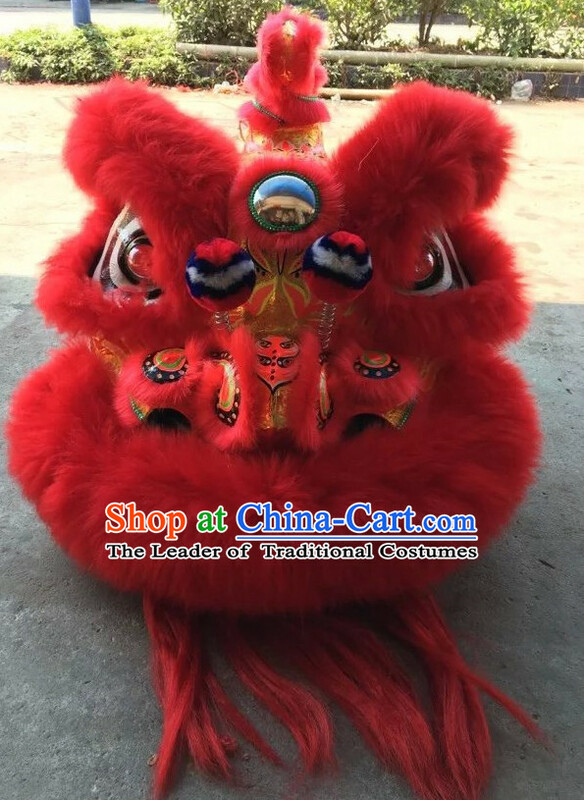 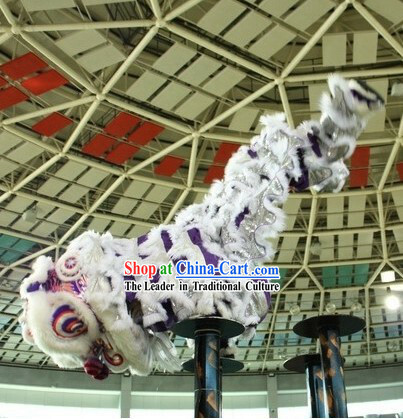 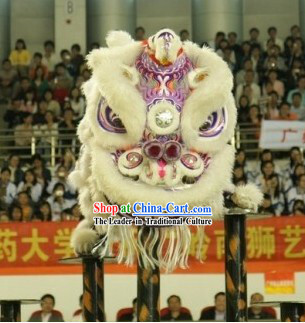 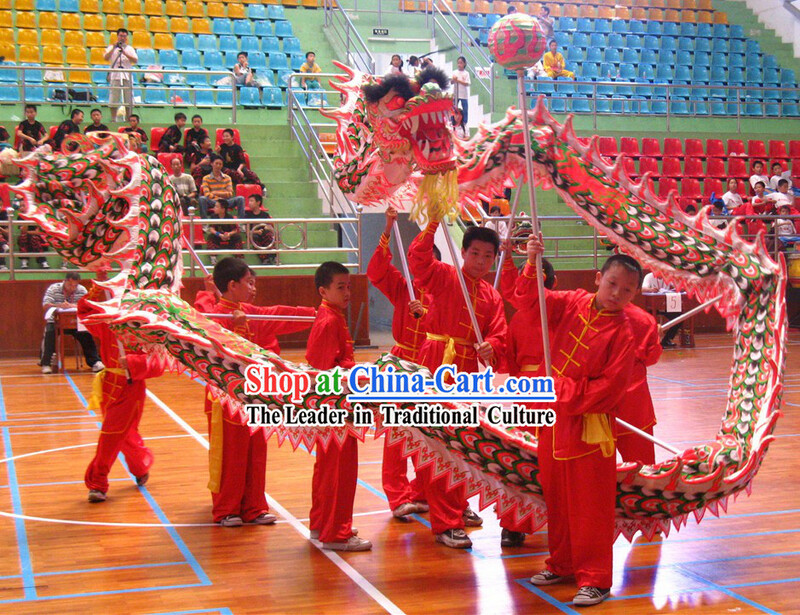 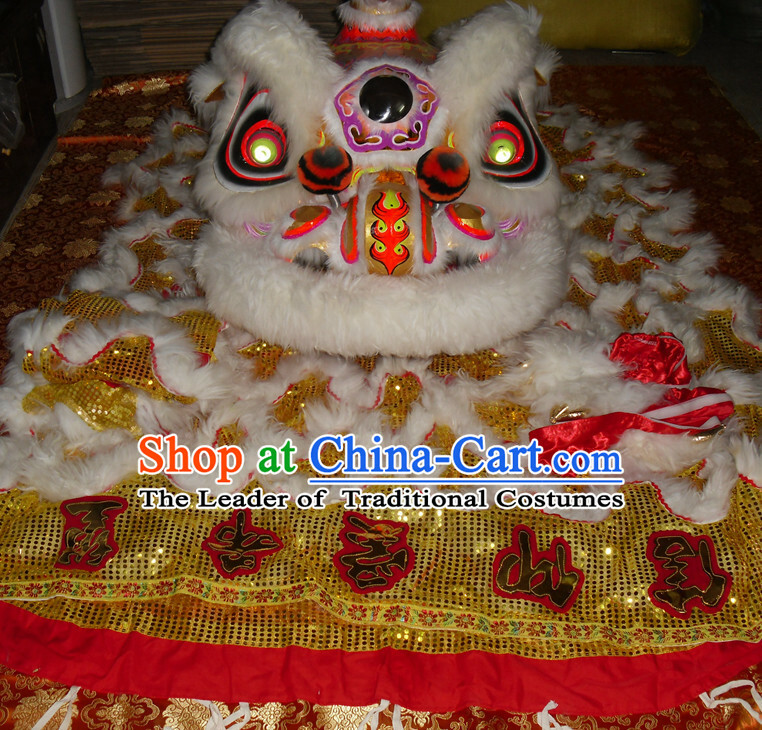 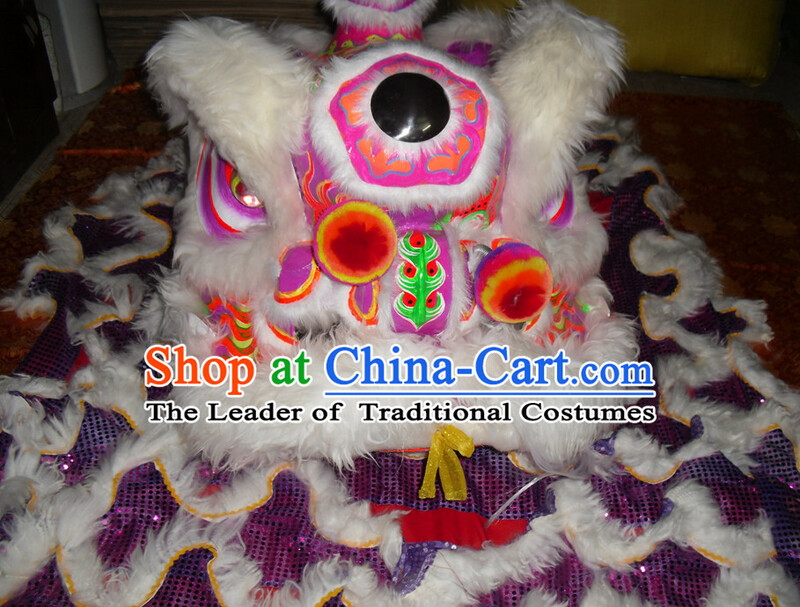 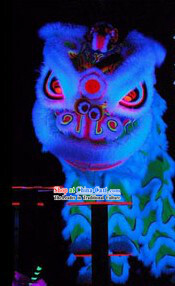 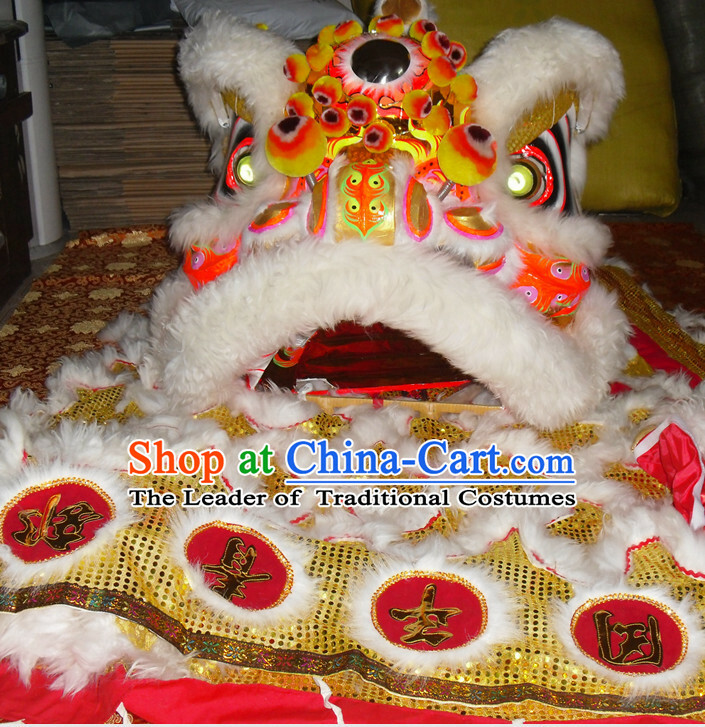 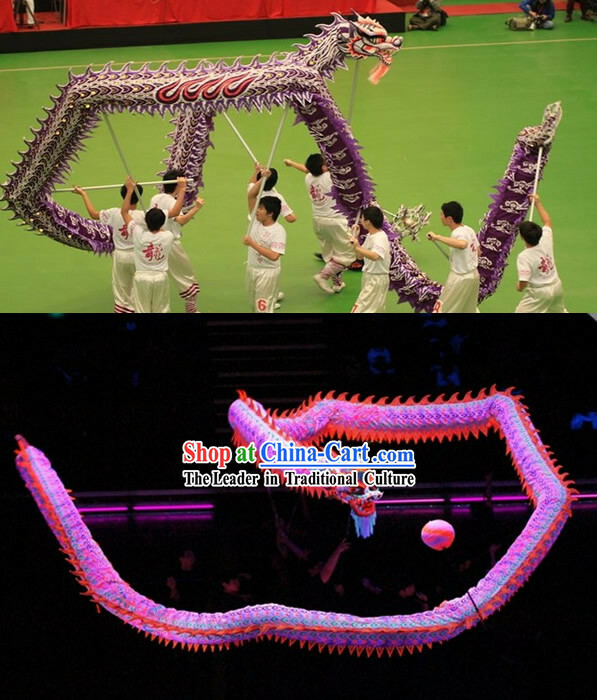 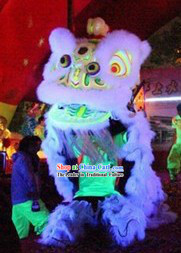 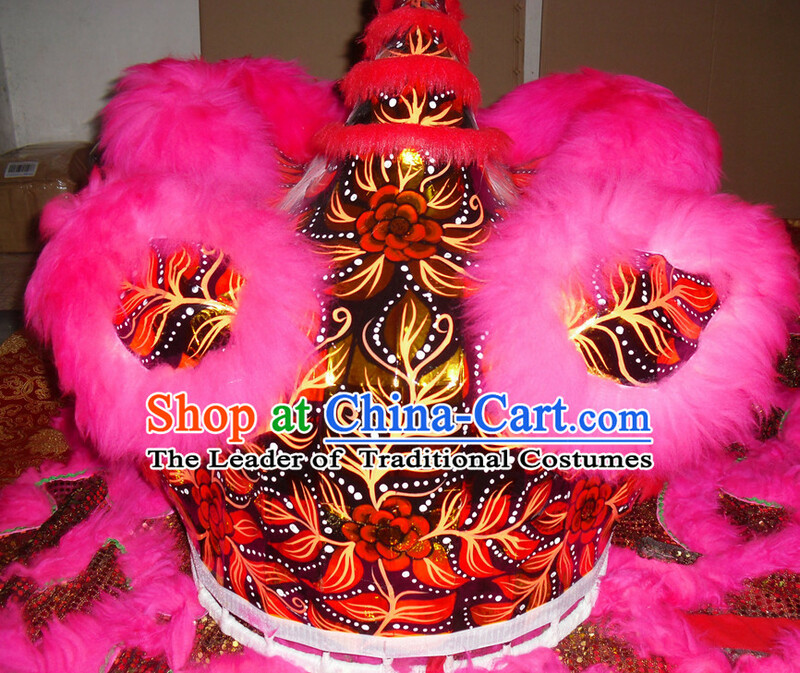 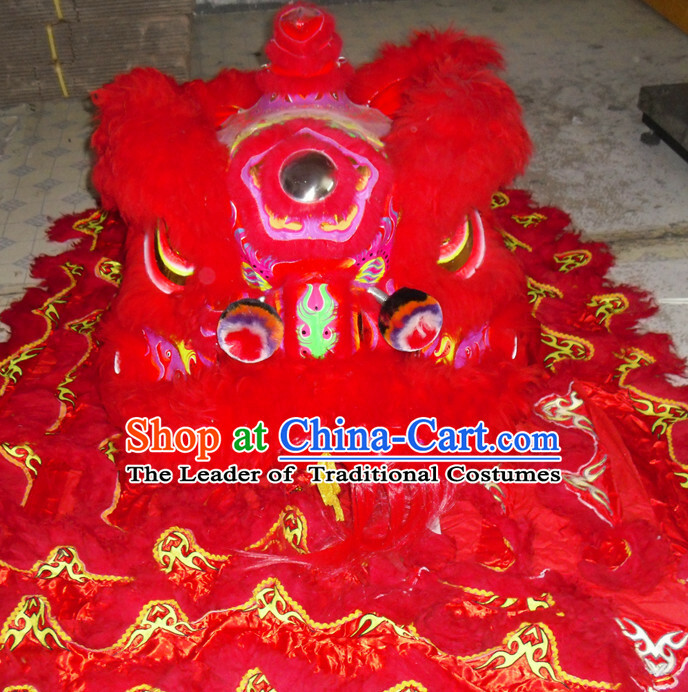 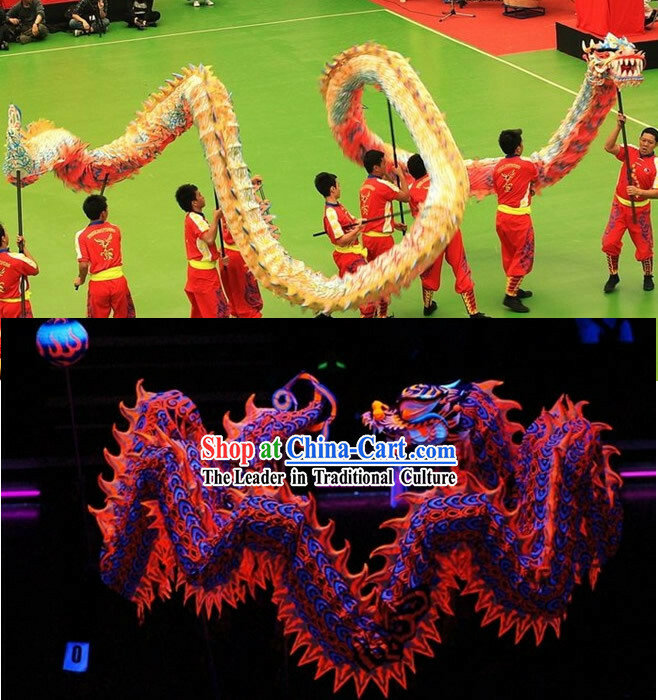 Character: This complete set of lion dancing costume is luminous. 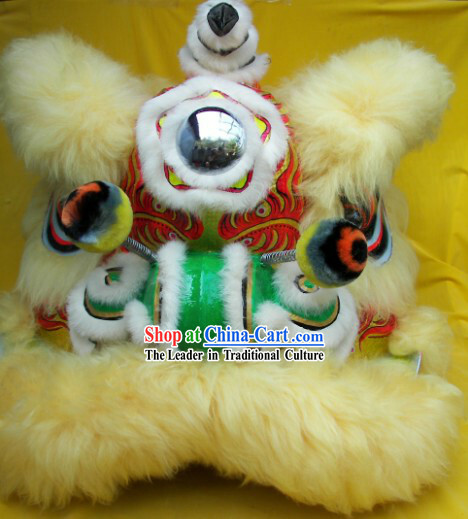 So it can be played both at the daytime and at night, twice the use of the normal lion. 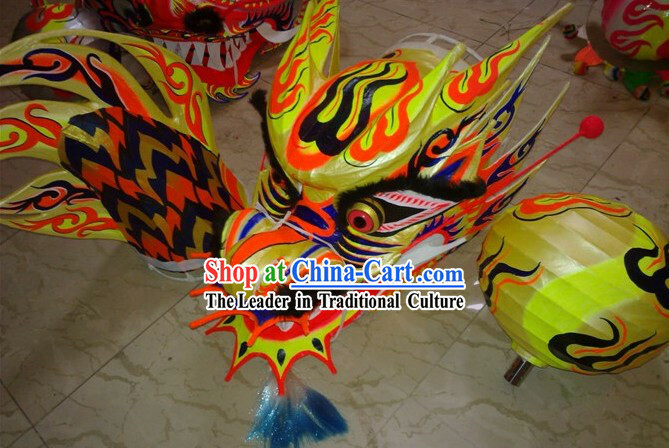 The eyes and ears are able to flap. 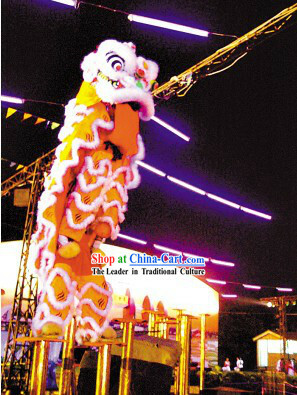 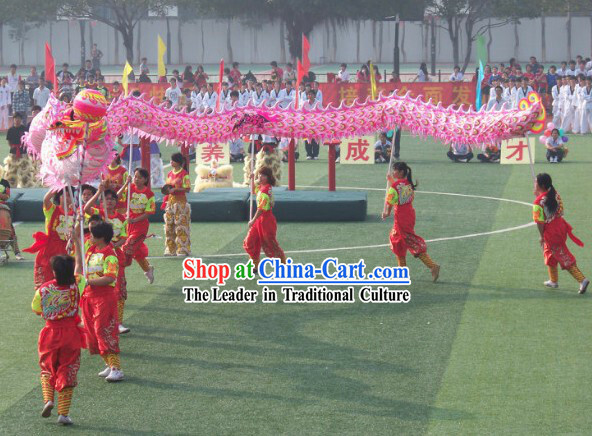 The lion dancing dates back to the Han Dynasty (205 B.C. 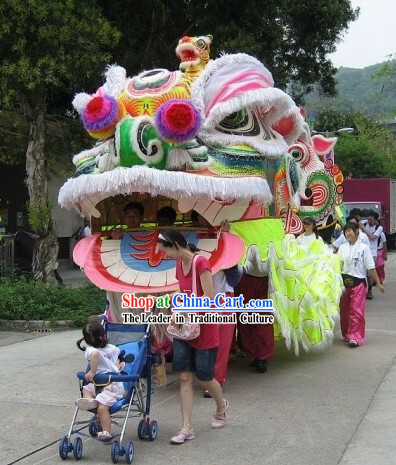 to 220 A.D in China) and during the Tang Dynasty (716-907 A.D.) it was at its peak. 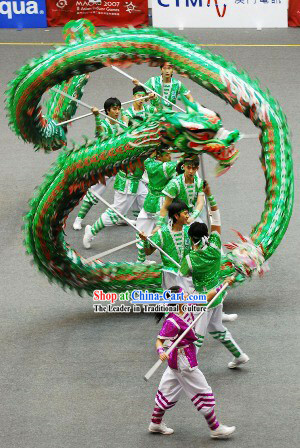 It is an important tradition in China, and it is believed to bring luck and happiness. 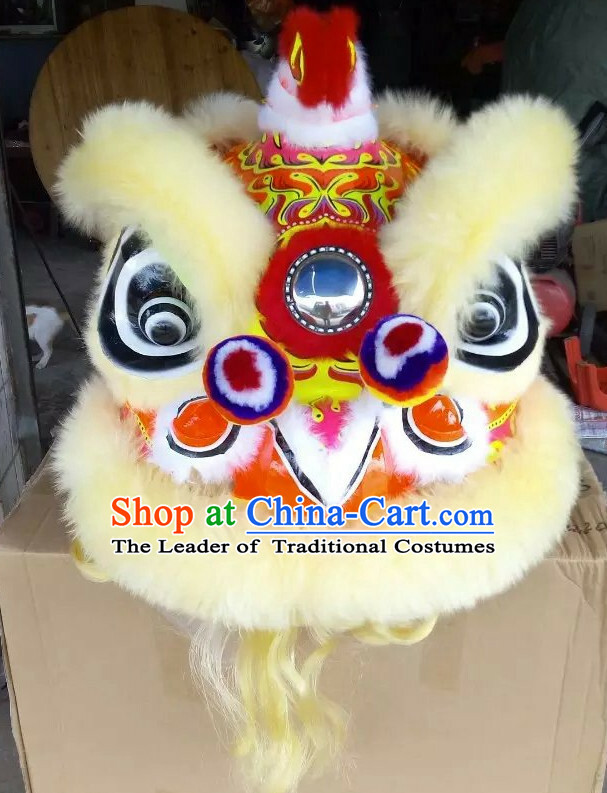 Be Customized with Your Own Logo Design Free: if you want the traditional craftsmen to Tailor-made the name or several words on Top handmade lion head and collar, you can leave a message on the order form. 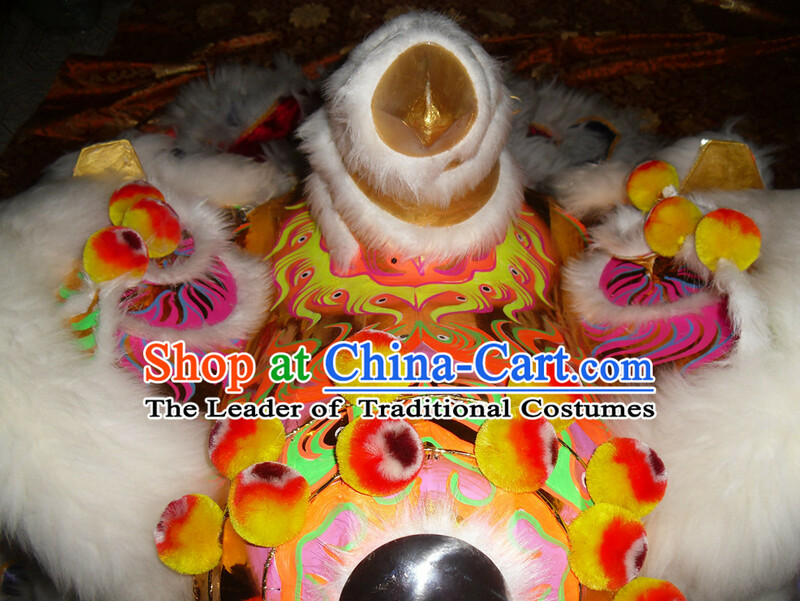 This tailor-made service is free. 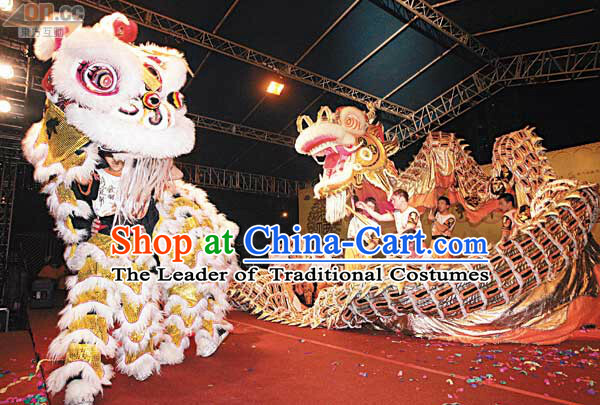 If you have special requirements (such as urgent delivery or gift package or size change etc. 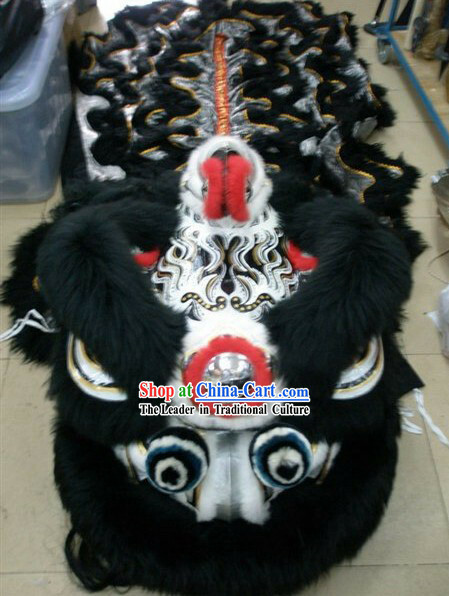 ), you can also leave us a message on the order form. 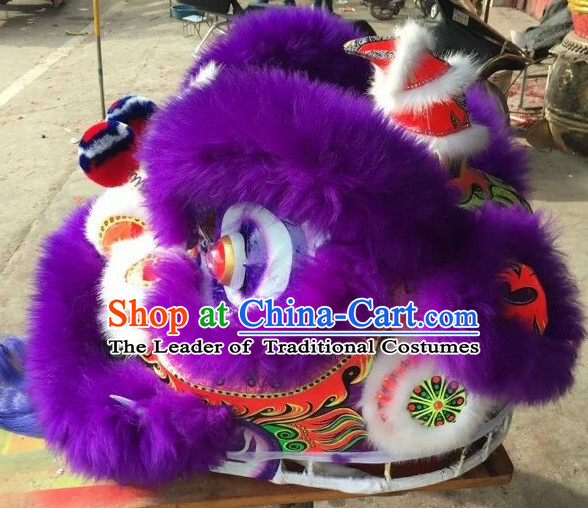 This service is free too.